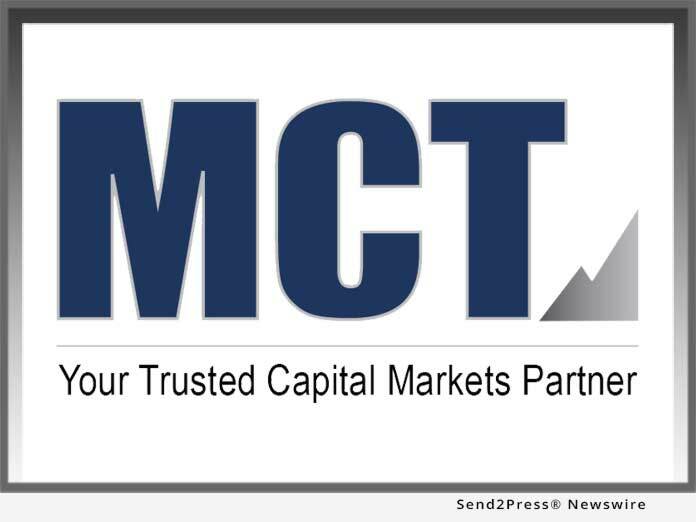 SAN DIEGO, Calif., Oct 25, 2018 (SEND2PRESS NEWSWIRE) -- Mortgage Capital Trading, Inc. (MCT), a leading mortgage hedge advisory and secondary marketing software firm, announced the upcoming launch of MSRlive!, a powerful web-based platform designed to effectively support lenders' efforts to build, maintain and optimize their servicing portfolios. The solution will be officially released at the IMN's first annual Residential Mortgage Servicing Rights Forum in Los Angeles on November 5. Interested parties can join an upcoming MSRlive! webinar that will be held on November 15 for additional information.